Part of your job as a warehouse manager is to ensure that all of your equipment and machinery is in working order so that you can improve safety conditions for your employees and prevent accidents from happening. OSHA requires that daily, pre-shift inspections of your powered industrial trucks, including forklifts, are completed to help achieve these goals. Before operating a forklift in your warehouse you want to perform a series of checks to make sure it is in working order. With the engine off, check the condition and pressure of the tires. It is also important to inspect oil levels and see if the engine is leaking at all. The condition of the battery should also be noted so that it can be replaced if needed. Once your visual check is complete, ensure that all safety information and manuals can be easily accessed by the operator and that there is enough room above the forklift and in its path for it to be driven safely. When you turn the engine on, the first thing you should do is listen for any unusual noises so that they can be immediately addressed. Check the brakes, steering and gauges as well before driving the forklift. Other items that should get your attention include the forks, chain anchor pins and hoses. If any of these appear to be worn or lose, immediate action should be taken. 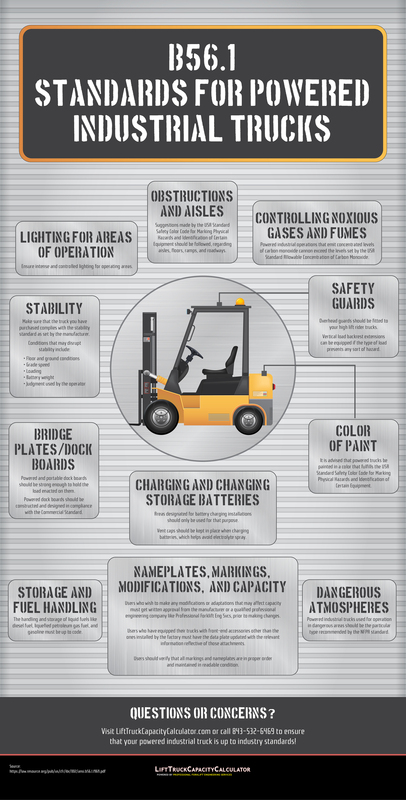 This will help you reduce risks to your forklift operator and help your team get their job done safely and efficiently.